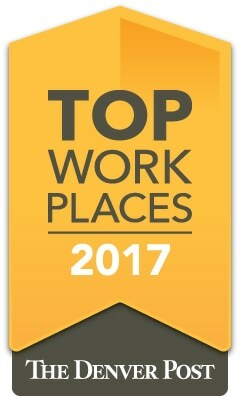 Applewood Plumbing Heating & Electric has once again, and for the fifth time, been named a Top Workplace by The Denver Post. And what great timing as the company is just about to release their 100th bright orange truck onto the roads of metro Denver. Applewood started as a one-man company in 1973, grew to four employees and three vans, and now serves more than 200,000 customers. Applewood has become the largest privately-owned service company of its kind in a 6-state area. Applewood’s success comes from a greater than 60 percent return customer base that can access extended service from 6:00 a.m. to 10:00 p.m., seven days-a-week. The company maintains a 96 percent on-time service record as well. The Denver Post recognized more than 150 businesses in this year’s program. Criteria for selection is based upon employee surveys, company performance, community involvement, benefits offered to employees, and company reputation with customers and vendors. Applewood has grown to create more than 120 jobs for trade technicians, dispatchers, customer service professionals and warehouse staff. Aside from creating employment opportunities, Applewood has also been an active member of the community, contributing thousands of dollars to local nonprofits and community events. Recently, Applewood partnered with Red Rocks Community College Foundation to offer scholarships to students pursuing a career in the trades. Three $1,000 scholarships will be available for the 2017-18 school year (click here to see more). Applewood has been serving the Denver and Boulder area for more than 44 years. The company’s philosophy is steeped in strong ethics and a family-like culture. These family values reflect how the company is run and the recruitment of customer-focused technicians to become part of the Applewood family. “Not only do we strive to hire excellent individuals, we also work to provide our employees with opportunities to learn, grow and succeed,” said Ward. To consistently achieve Top Workplace honors, every facet of a company must be fine-tuned. This is true of Applewood, who has trusted the growth of their recognizable fleet to two long time vendors. “We trust each other,” said John Stanerson, commercial sales representative for John Elway Ford. “We do what we say we’re going to do and we make sure the truck is ready to hit the road upon delivery.” Stanerson noted the relationship has survived over the years because we “don’t let the ball drop and we get it done right the first time.” Applewood has purchased their entire fleet, including the 100th truck, from the company. “The trucks are so clean you could eat off the floor. That’s just how the business is run, they take care of things,” said Rod Rodriguez, founder of Apple1 Art Studios, who has decaled all of Applewood’s trucks. “Applewood will continue to provide excellent customer service and be active members in the community. Hopefully, in another 5 to 10 years you’ll see even more orange trucks on the road,” said Ward. Applewood is always looking for top-notch individuals to join its’ team. Visit the employment page to learn more.